On Threatened Species Day it was announced that farmers would once again be permitted to cull fruit bats in Queensland, but would need to apply for permits to do so, and our Minister for Environment and Heritage assured us they would only be issued as a last resort when all other measures had failed. Even this has its problems, of course, on several levels, as it is difficult to aim accurately for a quick and humane lethal shot at a small animal, impossible for others to monitor the numbers actually being culled, uncertainty of the conservation status of some species, and uncertainty as to whether this is an effective method of control anyway. 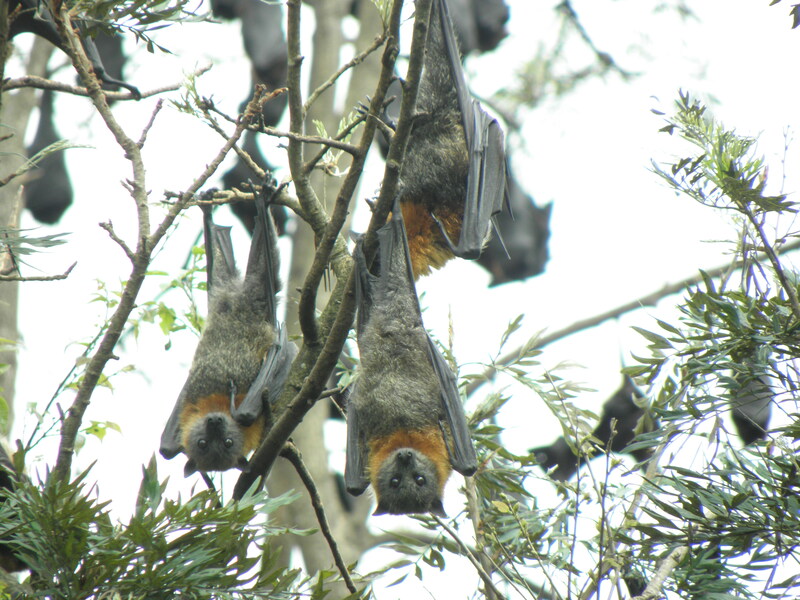 Recently however an amendment has been proposed which would allow any landowner (either local government or private landowner) to cull bats, even destroy whole colonies, at their own discretion if they consider there is a risk to livelihood or health. This amendment could be very open to abuse. There is to be a public hearing in mid-October, and it is due to be debated and either passed or not passed by parliament in late December.